Avid followers of Ariana Grande most likely know the TNT Boys — the Big Shot Trio that Grande surprised when they guested on “The Late, Late Show With James Corden” last month. 1. They were not the champions of “Tawag Ng Tanghalan Kids.” Kiefer was declared the runner-up, while Mackie held third place and Francis fifth. They rose to fame when a video of them performing together Beyonce’s “Listen” on a local TV show went viral. 2. 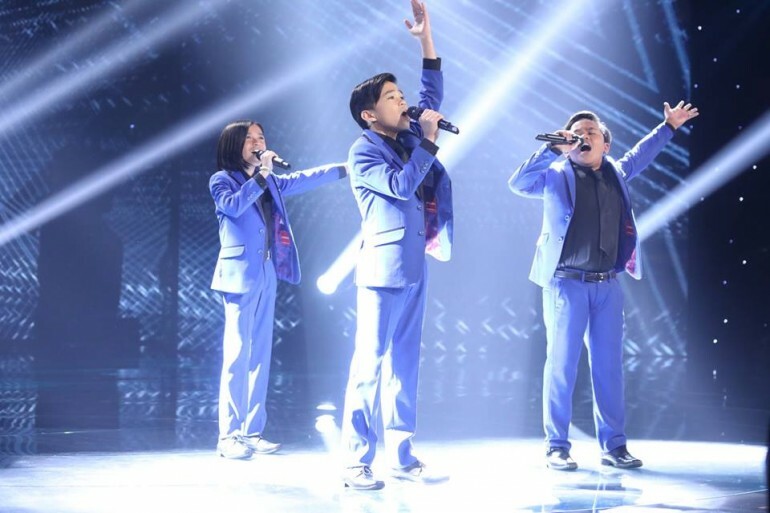 They hold the record as the Philippines’ youngest sold-out performers and the only Filipino act to have performed on all the four franchises of “Little Big Shots” — US, UK, Australia and the Philippines. 3. They were the winners of “Your Face Sounds Familiar Kids” Philippines. According to the boys, it was much easier for them to impersonate female artists than male artists because of their high vocal ranges. 7. They are currently homeschooled. Keifer, Mackie and Francis are incoming grades 9, 8 and 6, respectively. 8. Even with their singing careers blossoming, each of them still have their own dreams. Francis wants to be a surgeon, Mackie wants to be a high school teacher and Keifer wants to be a civil engineer. 9. Each of the three boys has their own specialty when their voices blend. Keifer does the high notes and whistles, Francis sings the melody and Mackie sings the low notes. Francis has the highest pitch of them all. 10. They prepare for puberty by regularly singing high-pitched songs to maintain their high vocal ranges as they transition to this life stage. 12. Mackie is the best dancer of them all. 13. Keifer doesn’t eat vegetables and sunny-side-up eggs. 14. Mackie and Francis agree that Keifer is the kindest of them all. 15. Both Keifer and Mackie agree that Francis is the most gleeful. 16. All three of them claim they are slowpokes — Keifer when it comes to dressing his hair, Mackie when it comes to choosing his outfit and Francis when it comes to bathing. 17. When asked about their favorite Ariana Grande song, Kiefer answered with “Tattooed Heart” and “7 Rings” while Mackie with “Breathin” and “7 Rings,” and Francis likes all of them equally. 18. They released a TNT version of Grande’s “Breakfree,” possibly as a tribute to her after the world’s top singer graced “The Late, Late Show” to surprise them while performing. Watch the video here. This April, the Big Shot Trio is set to bring their sold-out concert series “TNT Boys Listen: The World Tour” to Canada and the United States as they continue to champion Filipino talent on the global stage. The tour will kick off at Chabot College, Hayward California, on April 23. The boys also teased a new single coming out this year titled “Together We Fly.” Watch the snippet here.